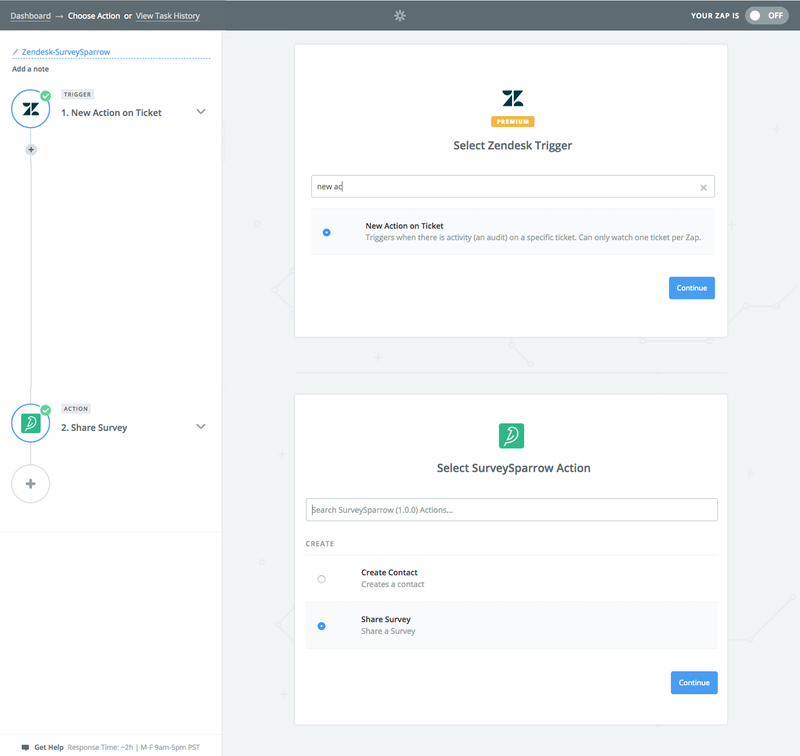 SurveySparrow integration with Zapier allows you to engage surveys into your workflow and sync it up with other apps. Automate all your activities like sending a survey, creating a new contact and sharing the survey results effortlessly. Send out a survey when a trigger is initiated from any other app. 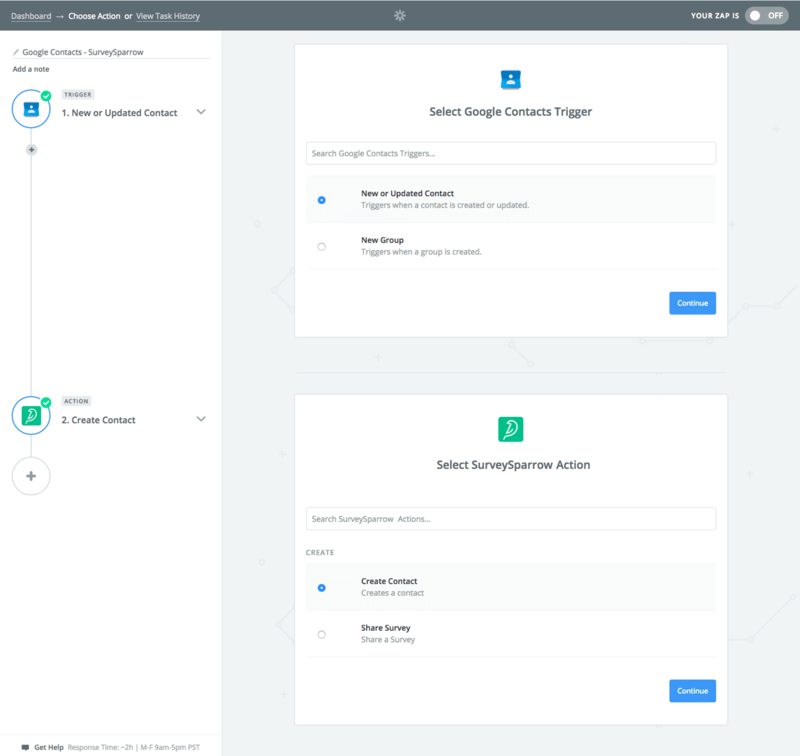 For example, when a ticket is closed in helpdesk tools or customer messaging platform like Intercom, you can prompt a survey to that customer asking about the customer experience. 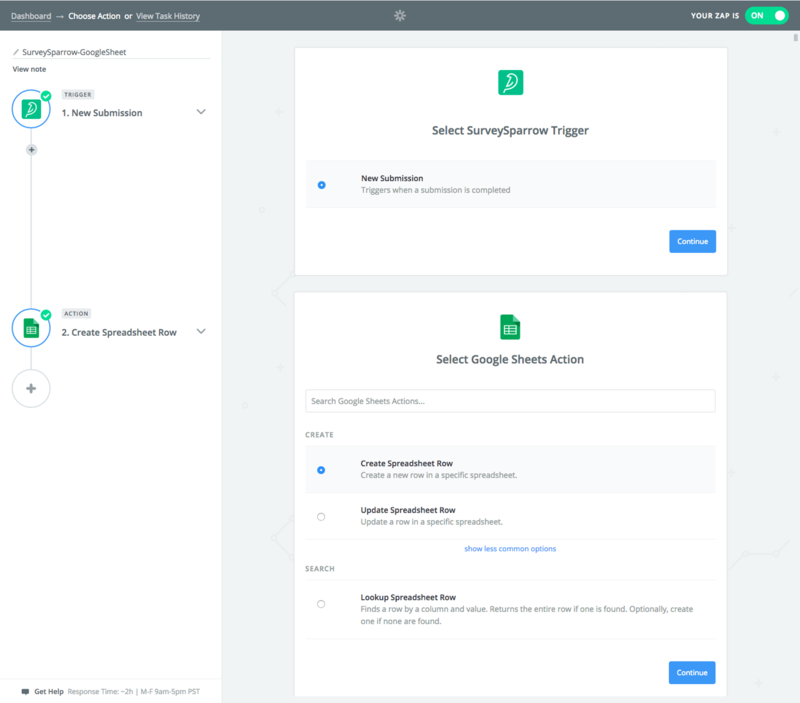 Automate all the actions and gain valuable feedback from your users. You can trigger to add the new contacts to your SurveySparrow account. For instance, when you add a new contact to apps like Google Contact or a new employee who joined, from Payroll or HRIS app. Automatic syncing saves the time and effort on adding new contacts. When a user completes a survey, you can send the responses to any app within Zapier. For instance, you can push the survey submissions into Google Sheets or send it as an email. Also, you can get notified on Slack channel when a response is submitted. Each time a survey response is recorded, you can sync it up with analytics software like Google Analytics to gather useful insights from your survey.